Our residential landscaping projects can vary from small one-day jobs to larger ongoing design-build projects. Working individual homeowners gives us a chance to impact the way they enjoy their surroundings. 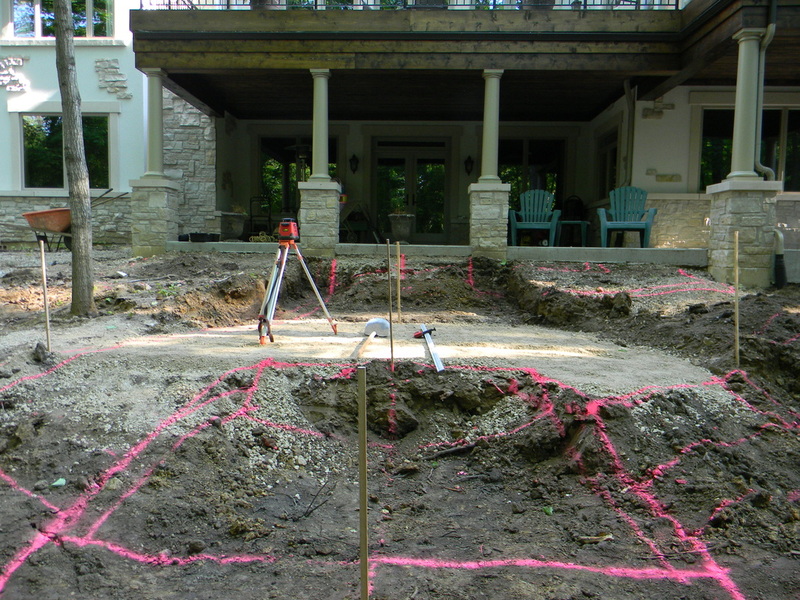 Whether it is a new brick patio, a retaining wall and stone stairs or an entirely new landscape, we treat each project like it is taking place at our own home. Dry stacked stone wall retaining new plantings. Building a patio with seat wall around a fire pit. Notice the boulder "columns" that support the wall. We used a custom color blend for all the hardscape elements you see here. 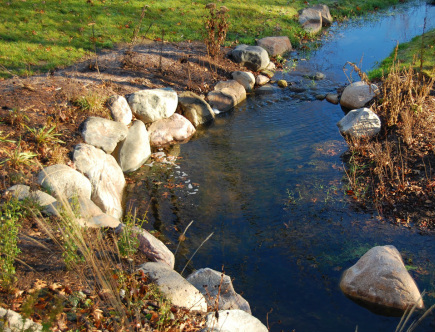 We placed granite boulders to enhance and stabilize this streambank. 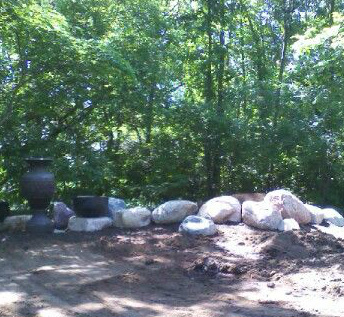 When we started this project, this was a forgotten corner of the yard. Once we had finished, this area had become a surprising focal point. AFTER! 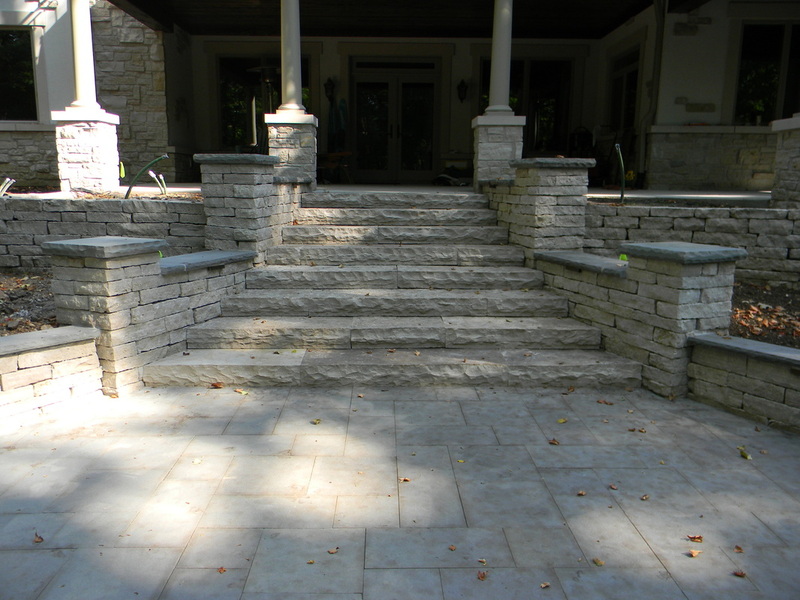 We installed this formal stone stairway. We used natural stone for the walls and stair treads, with bluestone accents for the capstone as well as bluestone for the patio base. We constructed this natural stone staircase at a residence in Roscoe. Several large outcropping pieces were used as bridges over a dry creek area. 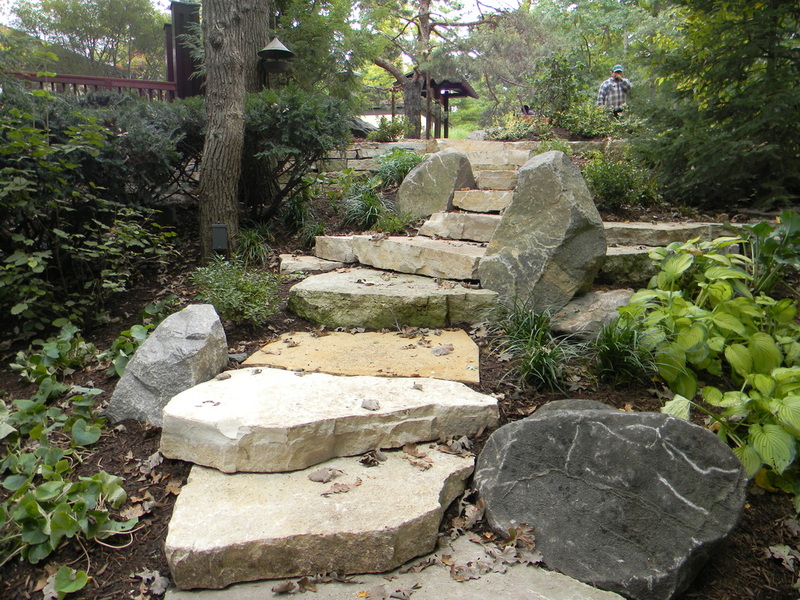 Decorative granite boulders were placed along the stairs to accent and tie in with other boulder placement on the property. 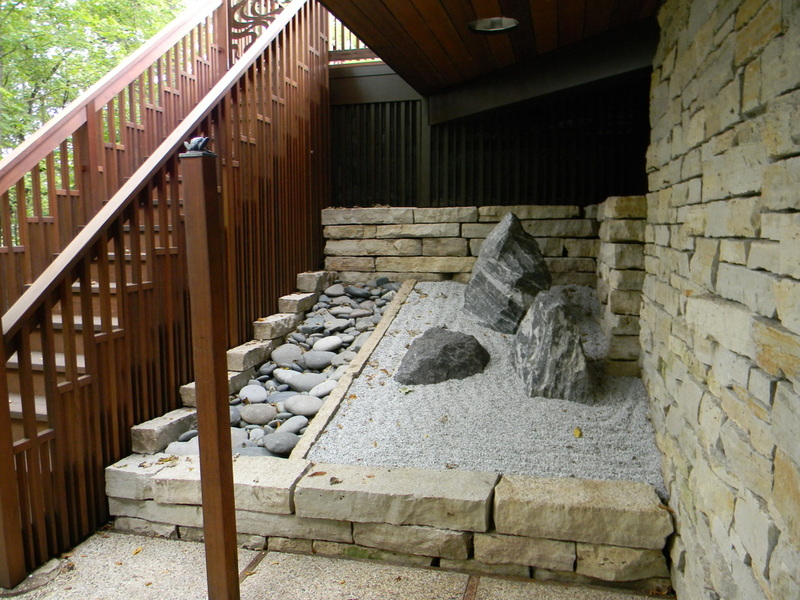 It was a challenge constructing these walls, placing the decorative flat stones as well as the upright boulders in the new zen garden, but it was satisfying to see how nice the completed project looked. 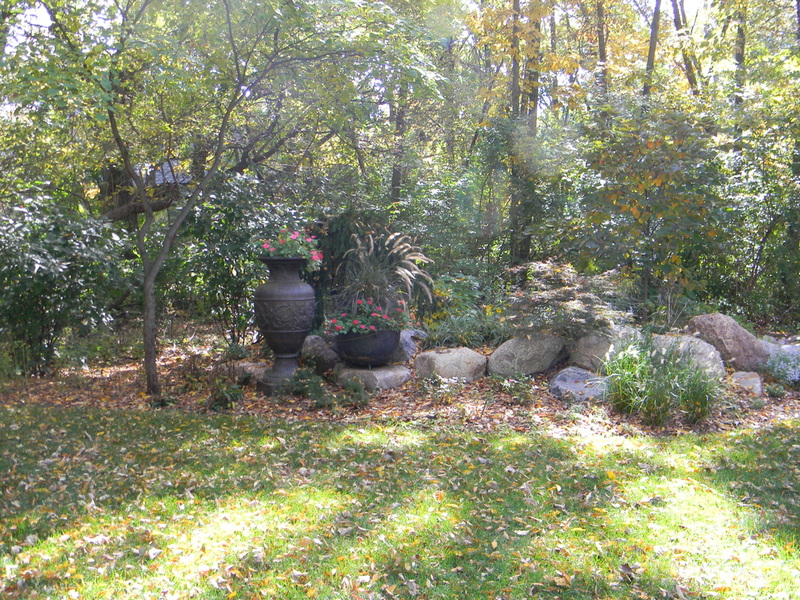 Above are before and after pictures from a project near Belvidere. 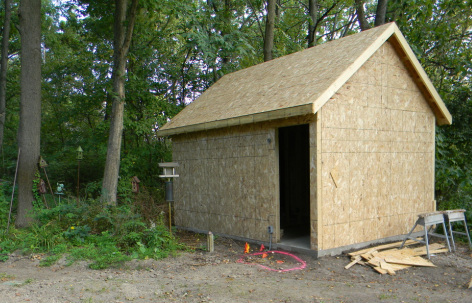 This client wanted a small storage shed at the edge of the property. 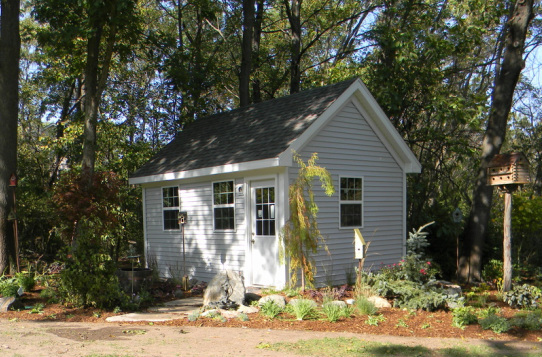 Once the shed was constructed, we added plants, stone walkways, decorative boulders and even a bird house to the surrounding landscape. This turned an average woodland edge area into an attractive, well planned focal point. Installation of 16 foot long stone bridge. This was custom made for the client and had to be installed with a large crane. 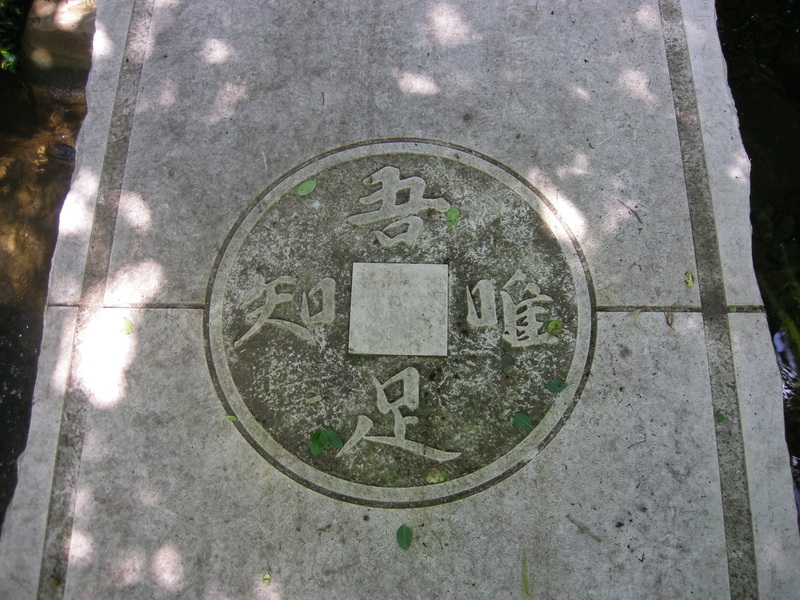 Japanese "coin" engraved in the center of the bridge. 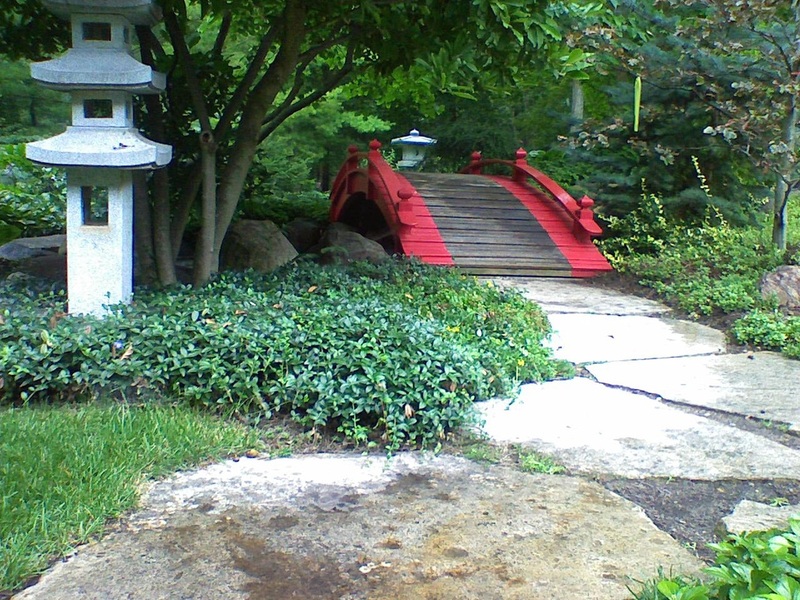 This was the arched, wooden bridge that was over the pond before the stone bridge was installed. 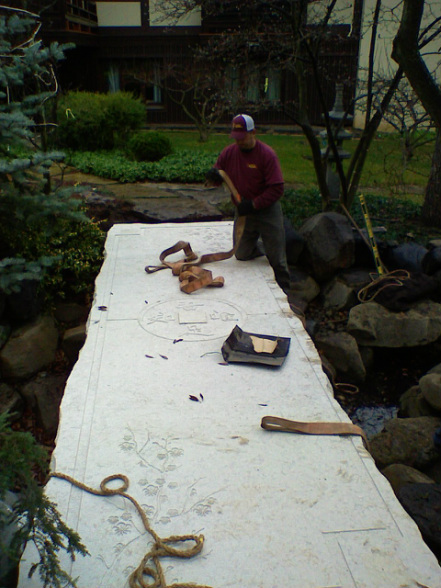 16' stone bridge installed over a waterfall & pond.